Auckland city with a population of 1.3 million inhabitants, is the largest and most populous city in New Zealand. Many interesting tourist attractions in Auckland. The combination of a sophisticated city with a coastal lifestyle that is always result into the top 10 world ranking. Imagine a city atmosphere, where people take only half an hour to the beautiful beaches, hiking trails and dozens of other tourist islands. Plus with a sunny climate, Polynesian cultural background and good food, wine and shopping. 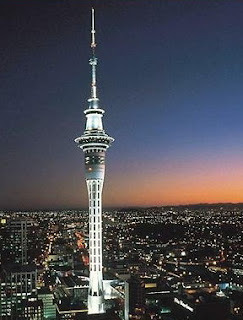 Sky Tower is one of New Zealand's most exhilarating and spectacular tourist attractions, you will be amazed at what you can see and do under one roof. At 328 metres, it is the tallest man-made structure in New Zealand and offers breathtaking views for up to 80 kilometres in every direction. 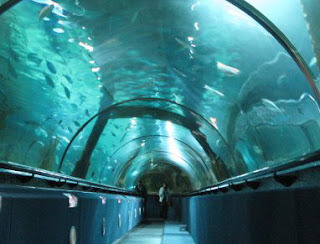 It offers 360 degree views of the area and has a section of glass flooring for the brave to stand on. Around the tower are grouped the buildings of Sky City, a postmodern complex with a luxury hotel and several restaurants. 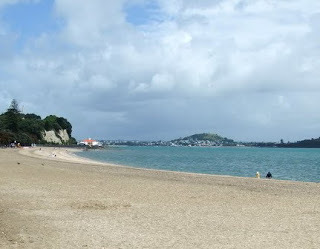 Mission Bay only 20 minute from Auckland offers a beautiful beach rooted in rich history with an abundance of restaurants. Mission Bay is not a big beach but it is a charming beach with a beautiful backdrop of Rangitito Island and plenty of bars and restaurants to keep you entertained. We took a stroll along the path and took a rest on the immaculate grass, admired the scenery and lapped up the beautiful sunshine, we were in heaven. Opened in 1985, the original Underwater World was the vision of Kelly Tarlton - an extraordinary Kiwi adventurer, diver, explorer and inventor, who wanted to share his love of the ocean with others. The attraction is made up of different zones, such as the Antarctic Encounter, which is home to New Zealand's only sub-Antarctic penguins, offering a rare opportunity to see the magnificent birds up close in their icy domain. Get up close to the 80-strong colony of King and Gentoo penguins to watch their playful antics on the snow and their elegant flight underwater. Maungakiekie, known as One Tree Hill, is one of the largest volcanoes in Auckland. This is one of the largest sites of Maori in New Zealand - terracing and kumara pits are still visible here. An archaeological trail that takes you to interesting places. 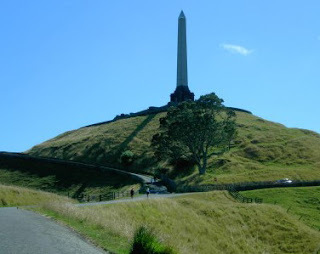 Situated within Cornwall Park, One Tree Hill has at its peak a large obelisk that was erected early last century as a tribute to the local Maori population. At the time it was feared disease was about to wipe out the Maori. Today One Tree Hill offers Aucklanders and tourists a peaceful place in which to walk, jog, picnic or just sit and relax and enjoy some truly spectacular views. It is the second-longest road bridge in New Zealand, and the longest in the North Island. It has a length of 1,020 m (3,348 ft), with a main span of 243.8 m, rising 43.27 m above high water. 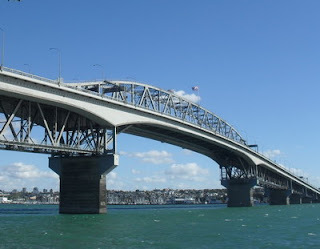 The magnificent Auckland Harbour Bridge is an eight-lane motorway bridge that spans Waitmata harbor between St Mary's Bay in Auckland and Northcote Point on the North Shore. Although it is an imposing sight from land, one of the most exciting tourist attractions for visitors to Auckland is to get up close and personal with a bridge climb or bungy.